This webpage describes the Euclid activities in UK. Euclid is an ESA medium class astronomy and astrophysics space mission. Euclid was selected by ESA in October 2011 (see the Euclid ESA page). Its launch is planned for Q1 2020. In June 2012 ESA officially selected the “Euclid Consortium” as the single team having the scientific responsibility of the mission, the data production and of the scientific instruments. 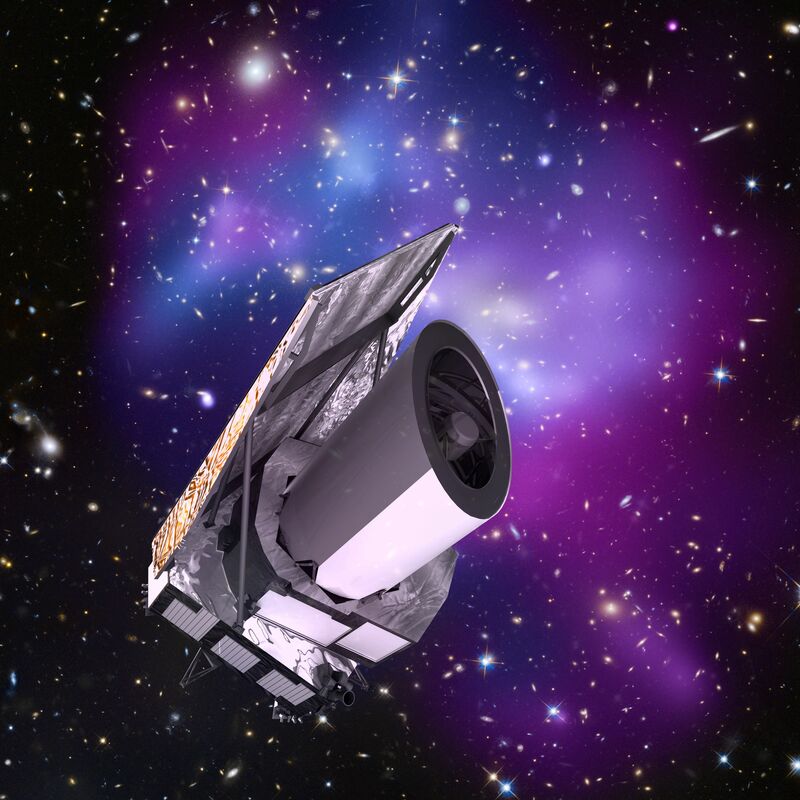 The Euclid mission aims at understanding why the expansion of the Universe is accelerating and what is the nature of the source responsible for this acceleration which physicists refer to as dark energy. Dark energy represents around 75% of the energy content of the Universe today, and together with dark matter it dominates the Universes’ matter-energy content. Both are mysterious and of unknown nature but control the past, present and future evolution of Universe.